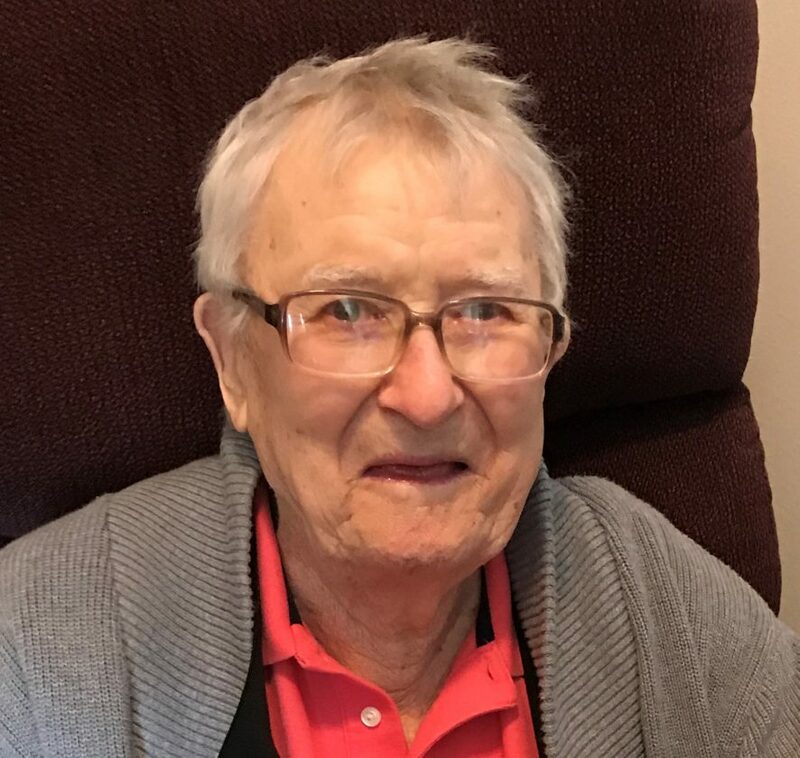 Luverne G. Jansen, age 93, of Ames and formally of Williams, IA, passed away on Monday night, April 23, 2018 at Israel Family Hospice House in Ames, IA. A gathering of friends and family will be 5-7:00 p.m. Friday, April 27, 2018 at Grandon Funeral and Cremation Care, 414 Lincoln Way, Ames, IA. A graveside service will be 2:30 p.m. Saturday, April 28,2018 at Blairsburg Cemetery, Blairsburg, IA. Luverne George Jansen was born on March 16, 1925 to George and Bertha (Ohden) Jansen on a farm near Kamrar, IA. He grew up on a farm near Blairsburg and attended Blairsburg Consolidated School where he graduated in 1943. Luverne served 2 years in the Army during World War II as a Artillery Mechanic and Tank Instructor at Ft Knox, KY.
On March 2, 1952, he was united in marriage to Dorothy Marie Clabaugh in the Little Brown Church at Nashua, IA. To this union a daughter was born, Karen Rae. They farmed on a farm north of Blairsburg until retiring in 1992 and moving to Williams, IA. Luverne kept busy with his two granddaughters and their many activities. Loved going to the Boondocks or Trumps I-35 Truckstops to solve the world’s problems with his many friends for coffee and pie or Vera’s bread pudding. He also enjoyed working at the Mink Plant in Jewell and the FS Plant by Williams, IA when boredom got the best of him. He was a member of The Blairsburg Lions Club and the Webster City American Legion Post #0191. He was a member and deacon of the United Church of Christ Congregational in Blairsburg, IA. He was honored to go on the Central Iowa Honor Flight in August of 2009. He cherished every moment with his 5 great grandchildren to the end. Also enjoyed his last 20 months at Bickford Senior Living Community and his favorite staff, plus Boo the Bickford dog. Loved to brag about being Dominoes Champion, becoming the Valentine’s Day King in 2017, and all the many fun events they had there. He was very close to the many Homeward Health Care Team that also cared for him and brought him donuts. The last 9 months the Hospice Care Team that came to him there, he cared a lot about too. He was thankful for everyone that came into his life. He is survived by his daughter Karen R Hunt of Ames, two granddaughters, Amanda (Neil) Dougherty of Ankeny; Dana (Yassir Obeid) Hunt of Ames; five great-grandchildren Jensen Dougherty, Phoebe Hunt, Ruqaiyah Obeid, Abu Bakr Obeid and Uthman Obeid (born on his Great-grandfather’s birthday last month); sister-in-law Diane (Clabaugh) Miller and brother-in-law Ron Miller along with many other family and friends. Luverne was preceded in death by his parents; his beloved wife Dorothy; sisters Agnes Jenison and Gladys; brother’s Ronald and Kenneth; brother- in-law’s Clarence (Buss) Holt, George Jenison, William Hayes, Donald Clabaugh and sister-in-laws Jackie Jansen, Marge Jansen, and Doris Hayes. Condolences may be directed to www.grandonfun eralandcremationcare.com.